Created by Gilda’s Club Grand Rapids as a celebration of “laughter for the health of it”, LaughFest is now in its 4th year of operation as one of the Midwest’s largest comedy festival. A 10-day festival featuring some of the largest names in comedy, it has become the winter edition of ArtPrize in Grand Rapids as a large scale attempt to drive economic growth and community engagement. This year, the lineup for the week-and-a-half long festival is as impressive as ever. With headliner names like Jim Gaffigan, Chris Tucker, Lily Tomlin, Sinbad, and former Tonight Show host Jay Leno, it’s nearly impossible to find an evening without five-star comedic excellence. But big-name headline shows aren’t the only thing going on at LaughFest that makes it worth adding to your to-do list. As is with ArtPrize, and really anything else you find in the city of Grand Rapids, LaughFest puts a big dose of family friendly fun into the 10-day festival. 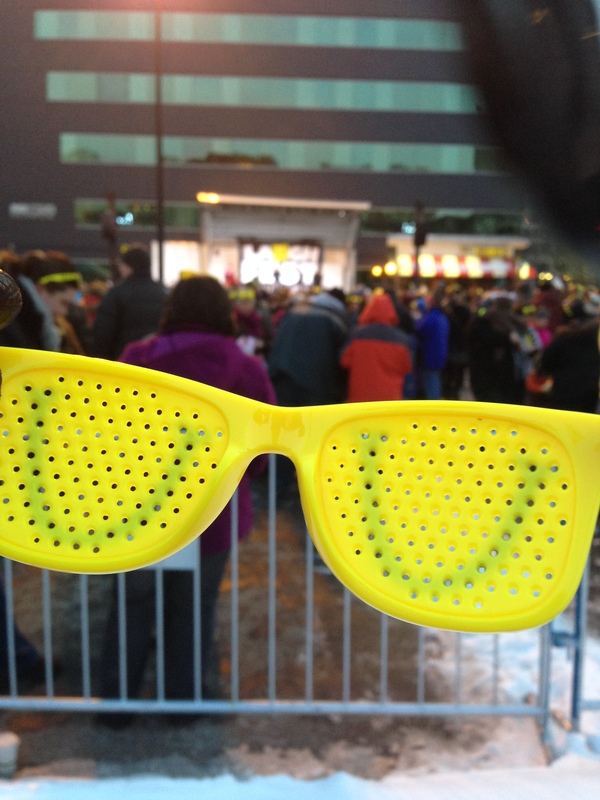 At the kick-off event held on Thursday, March 6th, the LaughFest community continued their tradition of breaking world records by attempting to break a Guinness World Record for the number of people wearing sunglasses at night. The unofficial number of 1,675 people wearing sunglasses at the LaughFest kick-off party beat the previous record held by Chicago’s Wrigley Field. A new event to the festival this year is the Clean Comedy Showcase underwritten by Blue Cross Blue Shield of Michigan. The clean comedy showcase brings a refreshing cast of comedians committed to making people laugh without vulgar or crude language. For a complete list of upcoming events, visit the LaughFest events page here. community with a comprehensive educational program, lectures, workshops, and social activities all designed with the intent of helping people deal with emotional health and wellness needs.